The DTX 101 iE is sound in its finest form. The polished anodized aluminum and durable TPE material show the special status of this mobile earphone. Its voicing represents our company's hi-fi approach and Neodymium acoustic drivers guarantee extremely high fidelity music reproduction throughout the full frequency spectrum. 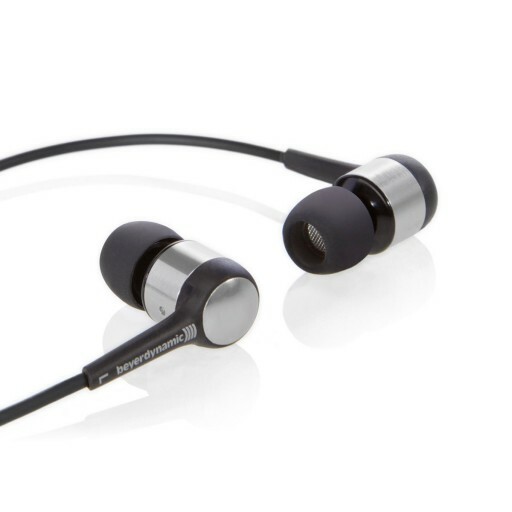 Besides the wonderful transparent treble and the precise midrange, it is mainly the inspiring bass response that makes the DTX 101 iE a favorite in-ear headphone in the upper price range. Without exaggerating the bass, reproduction goes down low to the very deep end and always stays punchy. Reviews confirm the outstanding quality of the DTX 101 iE repeatedly, saying that these in-ear headphones match with much more expensive models. The package includes three sizes of eartips. You can change these little silicone plugs in a minute and achieve perfect isolation with your in-ears maintaining great wearing comfort. Of course, the DTX 101 is suitable for all mobile devices, whether it be notebooks, tablet computers, MP3 players or smartphones. For safe transport a soft case is included, which allows you to wear your in-ear headphones also comfortably in your pocket. Available in three different colors (black, red, silver), you will find the right DTX 101 iE for you. As DTX 101 iE Individual this In-Ear is availabe with earmolds: silicone eartips that customized to your very own ears.